El Aaiun (occupied territories), May 12, 2018 (SPS) - The Moroccan authorities prevented Friday a Swedish delegation from visiting the occupied territories of Western Sahara where they intended to hold a meeting with members of the Sahrawi Association of Victims of Grave Violations of Human Rights Committed by the Moroccan State (ASVDH). Awserd (refugee camps), May 12, 2018 (SPS) – The Sahrawi President, Secretary General of the Polisario Front, Brahim Ghali, said Thursday that the Sahrawis who resist and remain committed to their right to independence and freedom, will "win" because it is "a matter of time, even though the situation would require more sacrifices." Shaheed El Hafedh, May 11, 2018 (SPS) -Algerian MPs and politicians on Wednesday affirmed that their support to the Sahrawi cause and people stemmed from the principles adopted by Algeria in terms of support to all just causes, stressing the need to step up the organization of a self-determination leading to freedom and independence. Awserd (refugee camps), May 11, 2018 (SPS) - Sahrawi people are sending, on the occasion of the 45th anniversary of Polisario Front creation, "a strong message" to the world that "nothing could prevent them from achieving their just and legitimate objectives," said Thursday in Awserd, the head of the Political Secretariat of Polisario Front Hamma Salama. Bir Lehlou (liberated territories) , May 10,2018 (SPS)- President of the republic, Secretary General of the POLISARIO Front, Brahim Ghali, has sent a reply letter to the president of the United Republic of Tanzania Dr. John Pombe Joseph Magufuli, as a response to the letter he received from his Tanzanian counterpart following the tragic death of 30 Saharawi citizens in the Algerian plane crash on the 11th of April 2018. 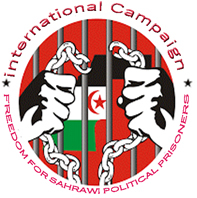 Chahid El-Hafed (Saharawi Refugee Camps), May 10, 2018 (SPS) - The president of the Association of Families of Prisoners and Disappeared Saharawi (AFAPREDESA), Abadeslam Omar Lahsen, has Wednesday expressed the support of his organization to the French activist Claude Mangin, who started a hunger strike since April 18 to protest against the impediment of the Moroccan authorities to visit her husband, Naama Asfari, detained in Morocco. Chahid Al Hafed (Sahrawi refugee camps), May 10, 2018 (SPS) - The Sahrawi Red Crescent made Wednesday an “urgent” appeal to humanitarian organizations and donor countries to meet the needs of the Sahrawi refugees faced these months to a substantial decrease in the order of 40% of the necessary aid. Algiers, May 10, 2018 (SPS) - China on Wednesday has donated DZD10 million to the Sahrawi Red Crescent to provide the necessary food aid for Sahrawi refugees in the camps of Tindouf (around 2000-km southwest of Algiers). Chahid Al Hafed (refugee camps); May 09, 2018 (SPS) - The Saharawi people is preparing to celebrate Thursday the 45th anniversary of the establishment of the Frente POLISARIO (Frente Popular de Liberación de Saguia el Hamra y Río de Oro) on May 10, 1973 in the Wilaya of Auserd with the participation of Foreign delegation.